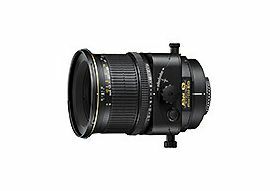 Perspective Control (PC-E) standard NIKKOR optically designed to maintain a natural-looking perspective, used in specialized photography such as studio and architecture. Features Nano Crystal coat for a superior optical performance with modern high-resolution digital SLRs. 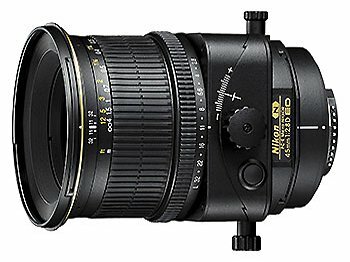 45mm standard NIKKOR with +/-11.5mm shift and +/-8.5 º tilt capability. Revolution +/-90º (in 30 º increments). Nano Crystal coat reduces ghosting and flare. ED (Extra-low Dispersion) glass to ensure high resolution and contrast. Aperture range of f/2.8 – f/32. Preview button with electronic aperture control. Bayonet lens hood HB-43 and lens case CL-1020 included.